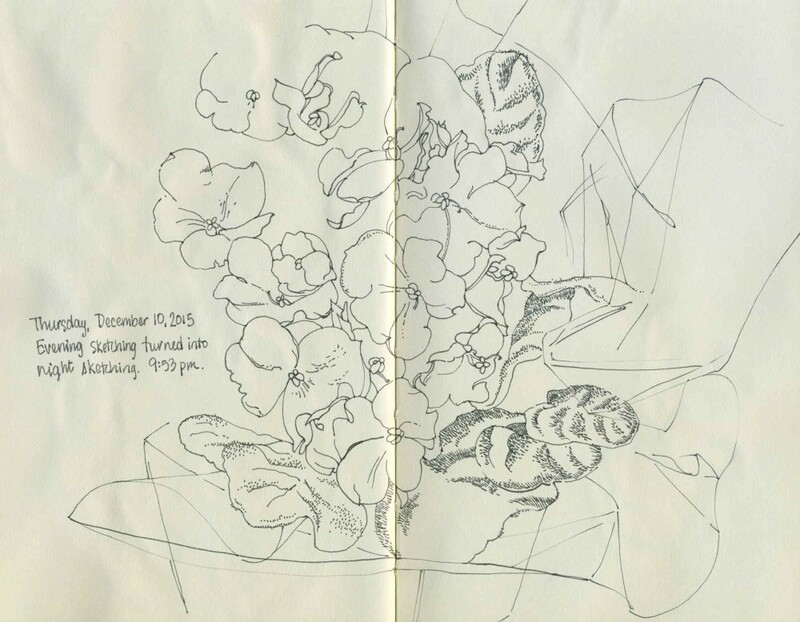 Here is a compilation of my recent sketchbooks for your enjoyment. I’ve been really trying to keep a regular sketchbook habit as it is the single best thing I know of for stress relief and relaxation. Plus, I’ve been lucky to have a lot of fresh flowers in the house. Right now I’m really busy with Christmas prep and having a great time with it. 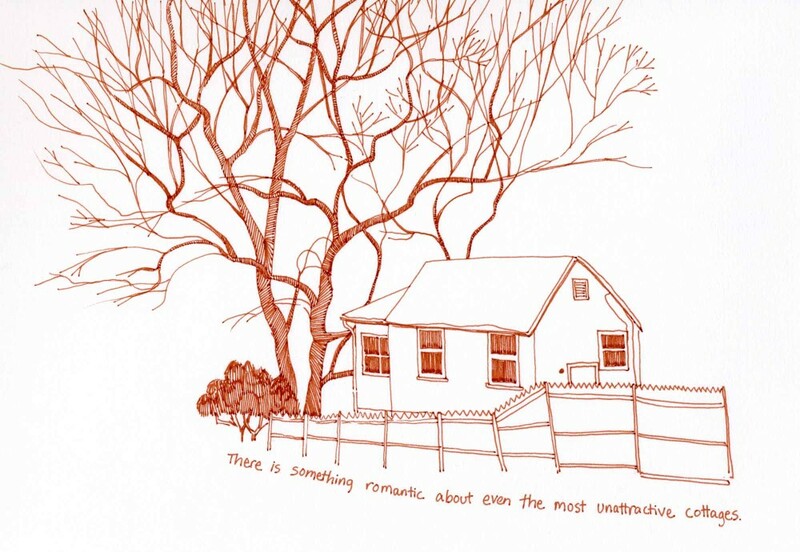 ©2015 Carolyn A Pappas, Cottage Sketch. Ink and watercolor in large moleskine. 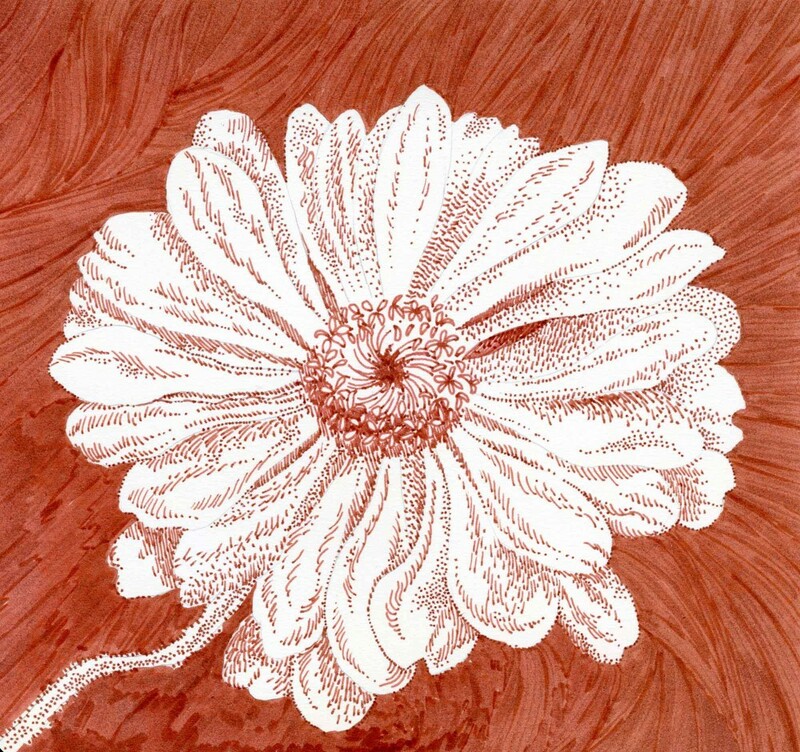 ©2015 Carolyn A Pappas, Zinnia. Faber Castell PITT Pens in large moleskine. 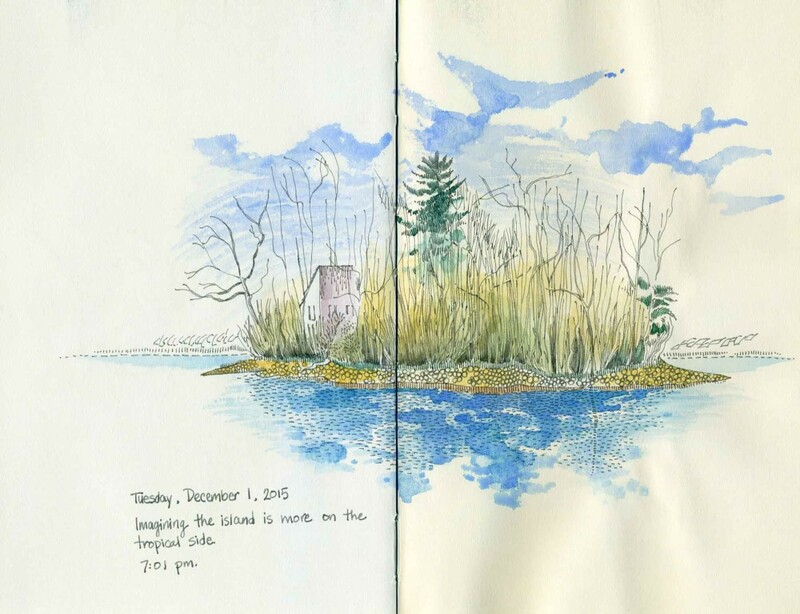 ©2015 Carolyn A Pappas, Island (12-1-2015). Ink and watercolor in large moleskine. 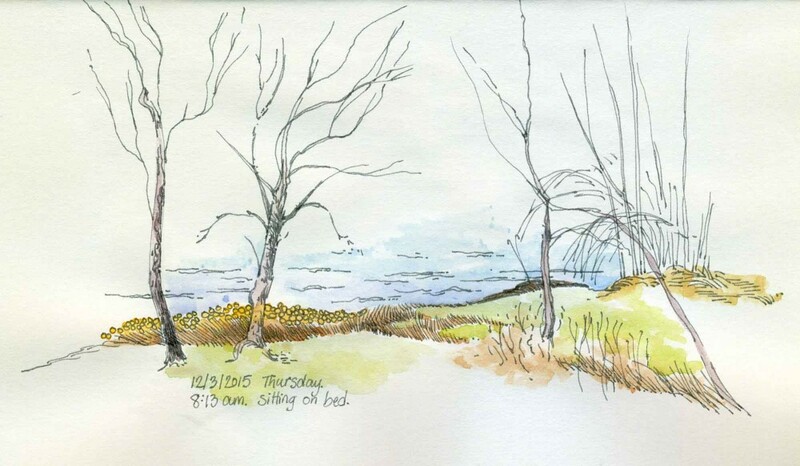 ©2015 Carolyn A Pappas, Shoreline Sketch (12-3-2015). Ink and watercolor in large moleskine. 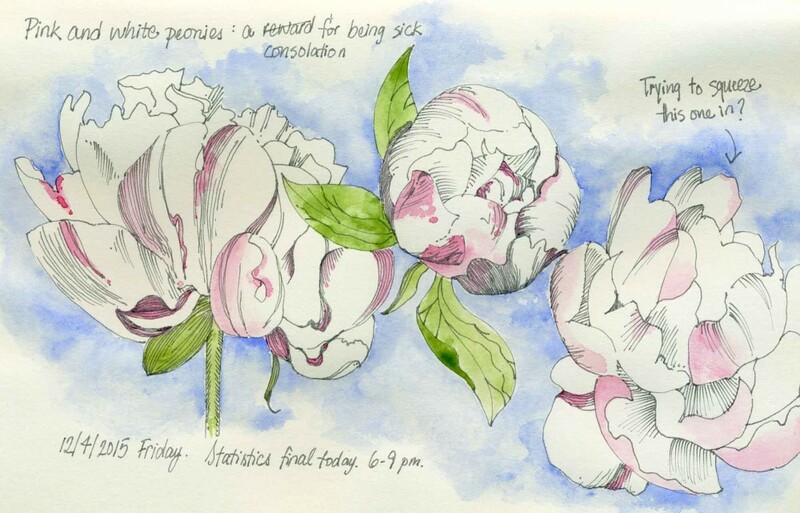 ©2015 Carolyn A Pappas, Pink and White Peonies (12-4-2015). Ink and watercolor in large moleskine. ©2015 Carolyn A Pappas, African Violets (12-10-2015). Ink in large moleskine. 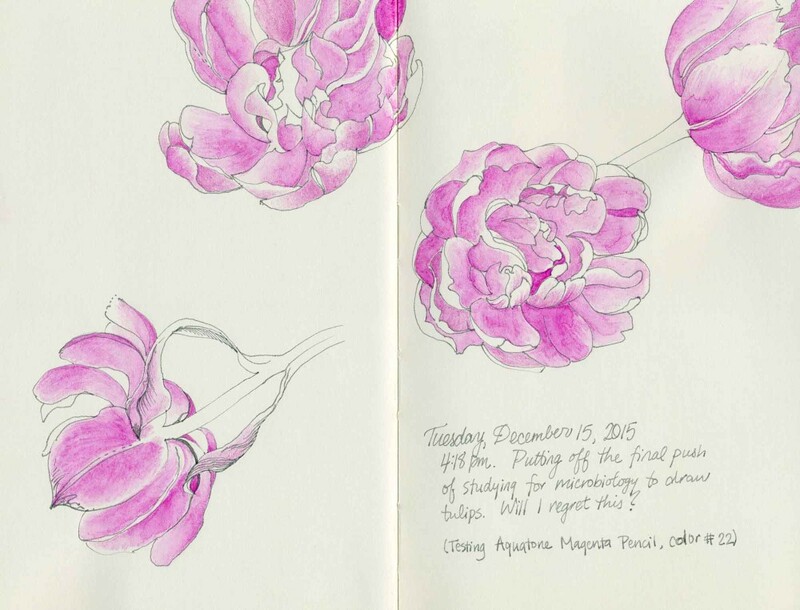 ©2015 Carolyn A Pappas, Tulips (12-15-2015). Ink and watercolor pencil in large moleskine. 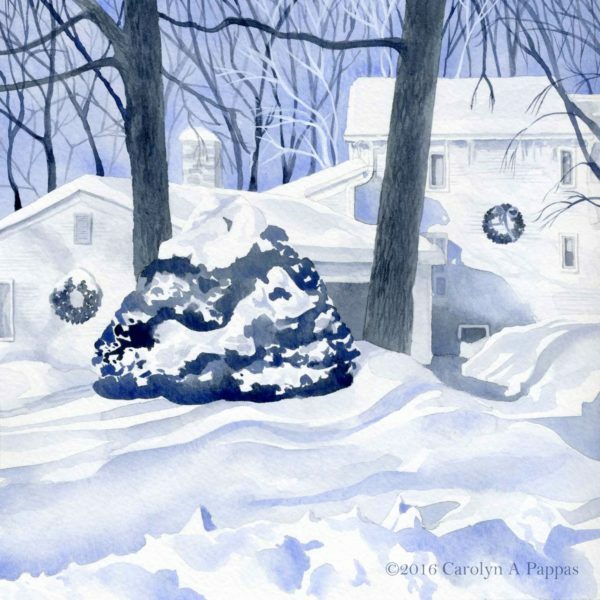 ©2015 Carolyn A Pappas, At Grandma’s. Watercolor, 8 x 5.75 inches. This painting was a challenge for me, and I almost quit midway through, but I am glad I persisted. 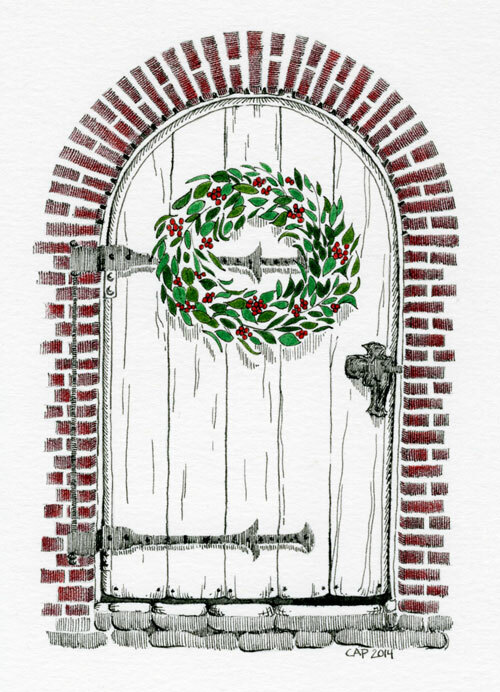 Windows and doors have always been an interest of mine, but they certainly take a lot of patience. 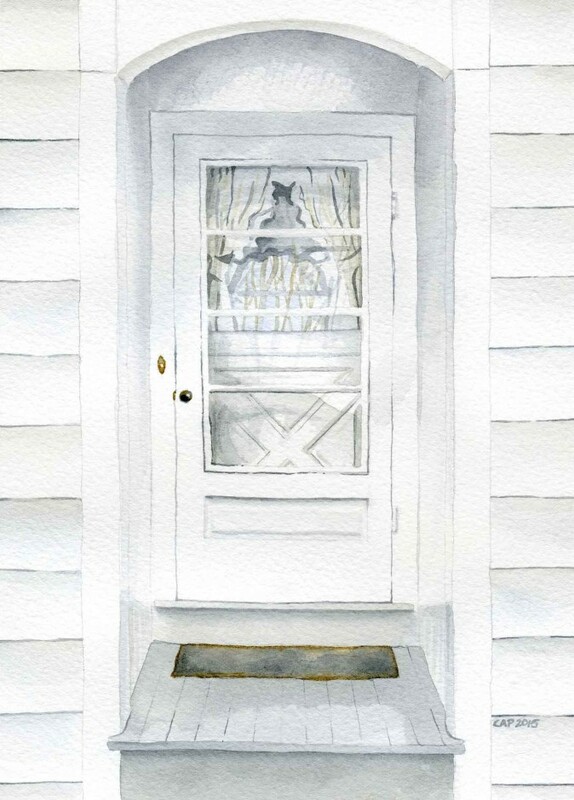 This particular door is special to me, as it is the entrance to a lovingly hand built house that has been central to many childhood memories — Grandma’s house.